Just four ingredients to make this easy Nutella Martini cocktail. 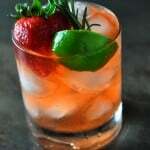 I love the simplicity of this cocktail. Perfectly smooth and chocolatey. 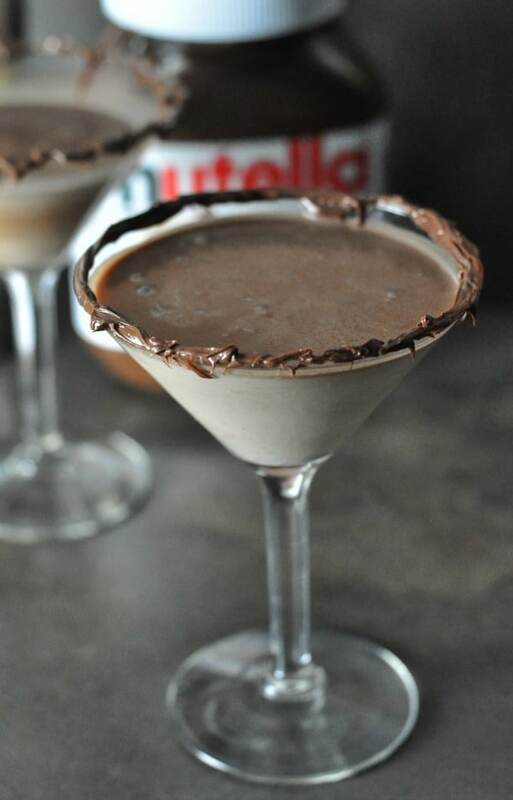 This Nutella Martini is my new favorite cocktail because it is so simple to prepare and has a creamy vanilla flavor that pairs so well with the chocolate hazelnut. This drink is perfect for girls night, Valentine’s Day, a romantic night at home or when you can escape your family and can get yourself in a bubble bath. First things first. The star of the show, Nutella. I have a giant container in my cupboard. Okay, I have two. Fine, I have two plus mini packs. What? They are for the kids. Okay fine, they are also for me. 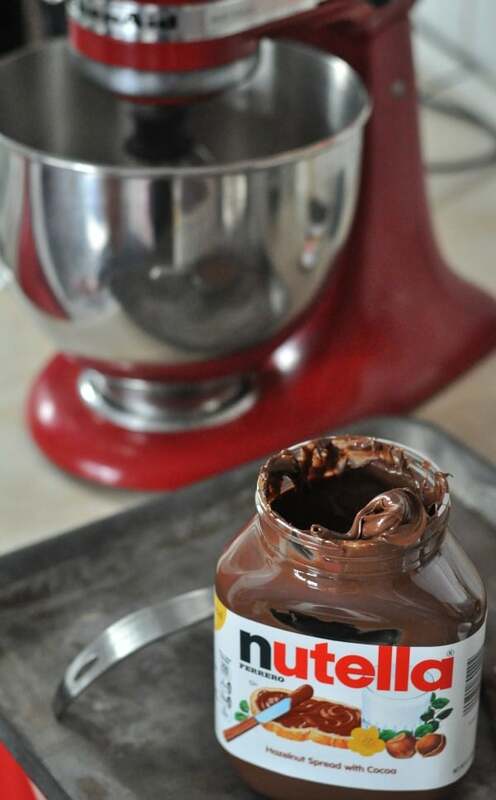 I admit it, I love Nutella. For this recipe, you only need 1 Tablespoon of Nutella for each martini, but you may want to pick up a big container, you know, for emergencies. 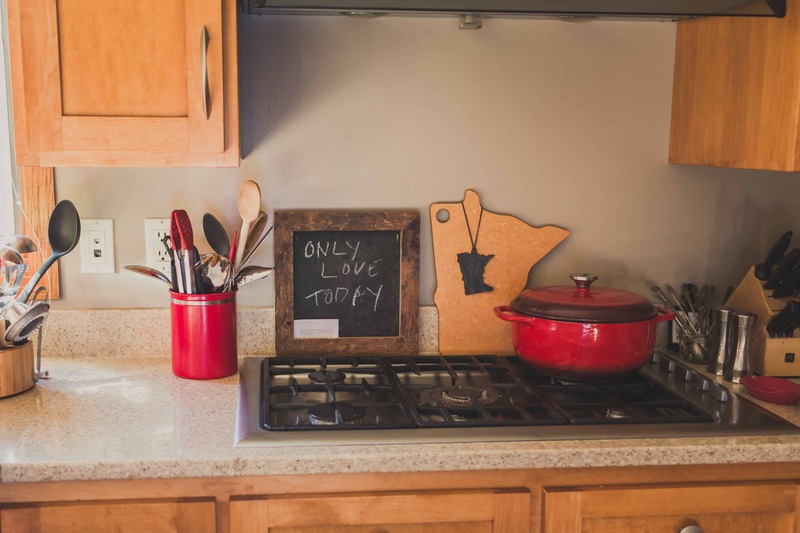 Two of the most popular recipes on Dining with Alice are my Nutella Buckeyes (Easy Chocolate Bonbons) and my Nutella Milkshake. You don’t have to enjoy it right out of the container. 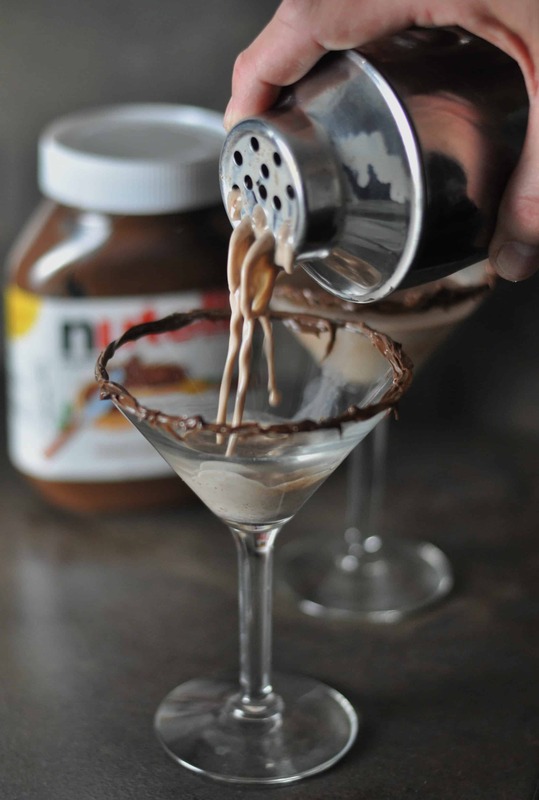 You can, and that is totally acceptable, but how about we make a fancy chocolate Nutella martini? 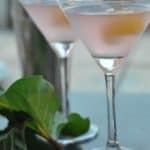 What I love most about this martini is that it seems so fancy but is so darn easy to make. Put the ingredients into the cocktail shaker, shake it up and pour. Bam. Done. Simple, right? Feel free to spread some Nutella around the rim of your martini glass and leave plain or maybe roll in cookies or chocolate candy. I won’t judge, but I would like an invite to your cocktail party. 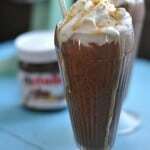 Get the recipe below and get these ingredients stocked in your house so you can get this Nutella Martini in your hand. Cheers! In a cocktail shaker, combine vodka, creme de cocoa, Nutella, Half and Half and six ice cubes. Shake for thirty seconds and then pour into a martini glass. 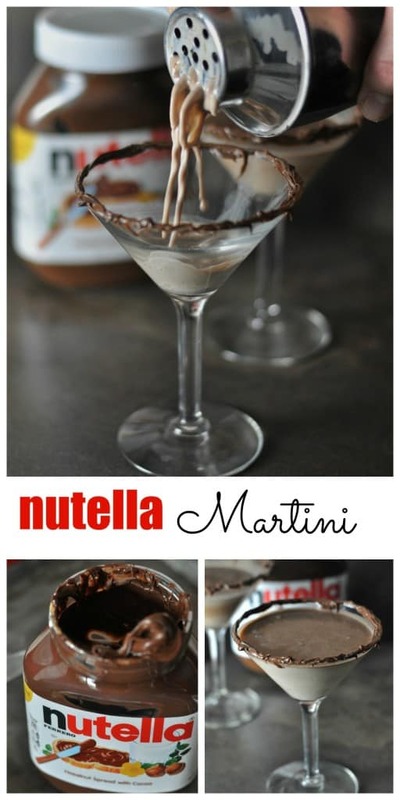 If desired, spread Nutella around the rim or portion of the rim of a martini glass. This entry was posted in Drinks and tagged chocolate, cocktail, Creme de Cocoa, Dark Chocolate, Martini, nutella, Vodka by Alice Seuffert. Bookmark the permalink. 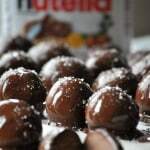 Yes, it is Nutella Day! How fun, right?! Thank you! This drink is a new fav and those Buckeyes, so nummy. I hope you are well too! 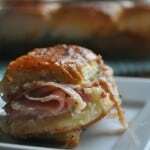 Msg me if you are available for coffee soon. 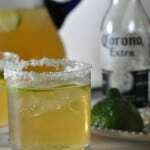 Sounds like a yummy way to say cheers! 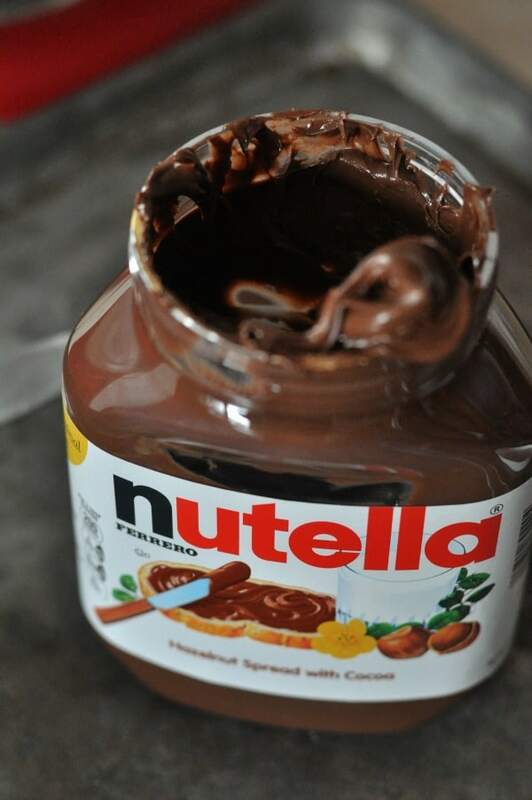 Happy nutella day! Thanks! Cheers and Happy Nutella Day, Katie! Jessica me too! Such a huge fan! Watch out this martini is so tasty, you will want another!